To those of you who know (or those who may not know), SNU has a team that enjoys horsing around. Literally. However, do not think that it is all fun and games. It is hours of hard work for steep competitions. The Intercollegiate Horse Show Association, or IHSA, got its start in 1967 with two small teams. Today, there are more than 370 teams across Canada and the United States along with over 3,700 student riders. 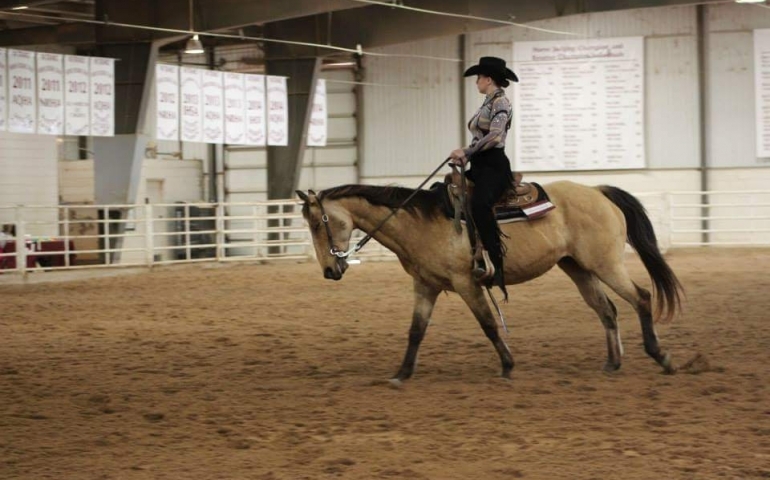 These riders can compete in four different events in two disciplines: Western Horsemanship, Reining, English Equitation or Equitation Over Fences. When first joining a team, an online questionnaire about past riding skills is taken by the rider. The results then place the rider into a division based on what experience they have in each discipline. The divisions in Western Horsemanship range from beginner to open, while the discipline of English starts with beginner and goes up to the final level of medal/McClay. The division assigned to the rider will then be the level which they will compete at in shows. The teams in IHSA are divided by sections of each state, which are known as zones. These zones are then broken down into smaller sections called regions. Teams compete in shows with other schools in their own region. For example, SNU’s team competes against large universities in the region, which include OU, Texas Tech, West Texas A&M and North Central Texas College. Shows are held on weekends and usually run on both Saturday and Sunday. They take place at the colleges in the region if the facilities meet the needs. Shows are usually held from the end of September to the beginning of November. The second part of the season picks up after a winter break in February and end with the championship show in May. Collegiate equestrian at this level is all on the individual rider. The rider competes against others in their division, but there may even be times when they are competing against fellow teammates. A rider is called to the “draw table” a few classes before they are to show. They line up with others who will be in the class and take turns drawing numbers which will determine which horse they are to ride. After this, they head to a holding area where handlers are holding the horses. The rider must find the horse they drew and mount when they are told to do so. The rider is not allowed any warm-up time at all, but they are allowed to ask either the handler or other coaches the best ways to handle riding their draw. The rider is not allowed to touch tack (any horse equipment) or the horse before entering the show pen. The handler or the rider’s coach is responsible for making sure that everything is how it should be. Once it is time to enter the ring, the handler leads the horse to the gate and the rider enters the pen to be judged. Points are kept for every rider based on placings in each show. If a rider receives a certain amount, they have earned the right to “point up” to the level above them. This keeps the shows fair as each rider’s skill level improves throughout the year. Once a rider points up, they are automatically qualified for regionals. If a rider places in the top two of their class in regionals, they then move on to semi-finals. The first place rider from semi-finals then qualifies for nationals. So, next time you see or hear about SNU’s equestrian team, do not snicker or imagine it all to be silly. The riders are athletes as well, and they work just as hard as others do to achieve their goals.